When it’s your turn to stand up and say a few words at a milestone birthday celebration, you’ll want one of the funny birthday toasts right here. All the toasts on this page are guaranteed to make your audience laugh...and make the birthday boy or girl feel special (since it shows him or her that you went to the trouble of searching for the best funny toast). 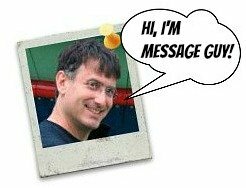 If you need to see some tips on selecting birthday toasts guaranteed to make virtually everyone in the audience laugh (and make you look great delivering them), take a quick look at Message Guy Tip #55 and you'll be a toastmaster in no time. Here's to your fountain of youth. No matter what age you are, you don't look it. 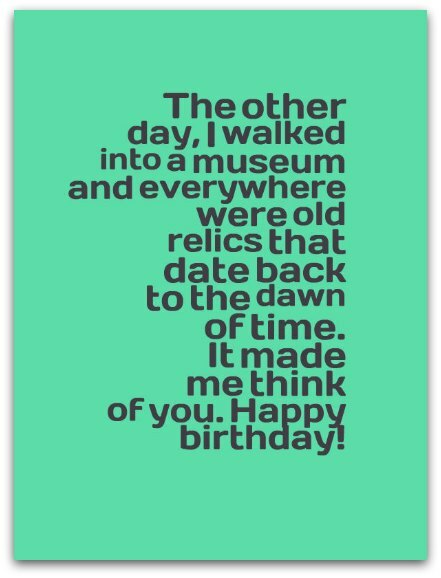 The only way I know you're as old as me is because a little birdie told me that your chiropractor sends you a birthday card every year. Today is a perfect day to raise our glasses to our boss — the only man I am afraid of! Happy birthday, boss! To your birthday, let’s raise our glasses high and thank goodness that it's you who's older — not us. If, like me, you feel nostalgic about your youth and long for the days when you worried more about acne than wrinkles, heed the words of the great Lucille Ball: "If you want to stay young, live honestly, eat slowly and lie about your age!" In this spirit, happy 29th birthday...again! Here's to growing older gracefully. Sure, you're not a young buck anymore, but you're nowhere near grumpy, old farthood either. 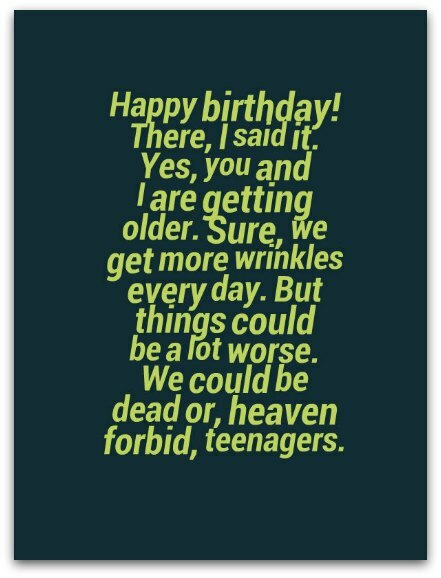 So have a great birthday! This will be a very short toast. With all the candles on your birthday cake, I'm afraid it may be too late to call the fire department if my toast goes over even a few seconds. So, I want to wish you a very fast, very happy birthday. Cheers! This should be a day of celebration. Things could always be worse, much worse. Look at it this way, a decade from today you will be a decade older. Happy birthday! You'll find more funny birthday toasts! Happy birthday! Here's to a birthday bash we won't be able to remember tomorrow morning with friends who won't let us forget tonight's stupidity for years to come. The other day, I walked into a museum and everywhere were old relics that date back to the dawn of time. It made me think of you. Happy birthday! Happy birthday! There, I said it. Yes, you and I are getting older. Sure, we get more wrinkles every day. But things could be a lot worse. We could be dead or, heaven forbid, teenagers. Now that you're 21, we can legally do what we've done secretly since we were barely in our teens — drink to your health. Here’s to you. Happy birthday! Happy birthday! We’re getting to the age when we should not sweat the small stuff. We should really start laughing at ourselves. Besides, our kids are already doing it for us every time we open our mouths. If I were you, I would be happy if I was you — at least you can wake up every morning with a smile…not false teeth and smile lines. Happy birthday. Happy birthday! Now that you’re old enough to leave the nest, I have some great wisdom to impart: always take life's troubles with a grain of salt...plus a slice of lemon and a bottle of tequila. Cheers! I would like to raise a glass to your youthful vigor and vitality but, as the great John Glenn once said, "There's still no cure for the common birthday." Happy birthday! May you get so old that you completely forget how old you are and lying about your age would be a federal offense (or just plain offensive).